Lambeth have released details of plans for the first stage of their greenway programme with a route linking Ruskin Park and Kennington Park. The greenway programme aims to provide cycle routes linking green spaces in the borough travelling along less busy and traffic calmed roads. This consultation is the first stage of the Ruskin Park to Kennington Park greenway and covers six minor changes to the roads which will make them more cycle friendly. We will be responding to the consultation - if you wish to add your views to our response please email us. We also encourage you to respond individually. 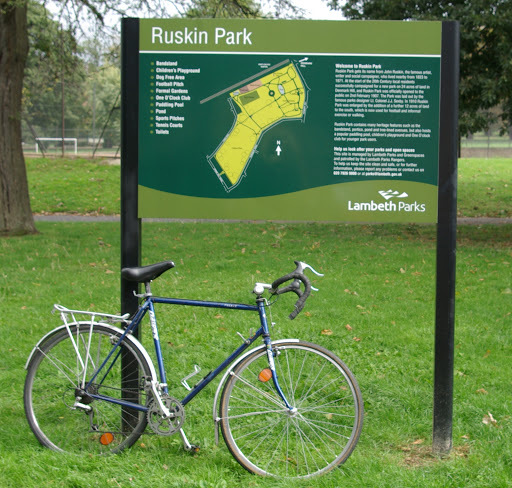 What is the Ruskin Park to Kennington Park Greenway? The Ruskin Park to Kennington Park Greenway is a cycle route that will improve access and connections to a number of green spaces in the borough for cyclists and pedestrians. This includes; Ruskin Park, Old Paradise Street Park and Kennington Park. There are approximately 15 schemes on the complete route comprising measures such as; raised speed tables, kerb build outs and new footway paving. The Greenway is funded by Transport for London as part of the Local Implementation Plan (LIP) budget. 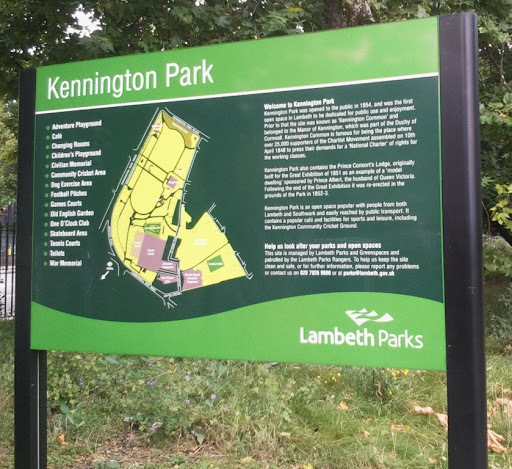 Lambeth Council plans to implement six of the Ruskin Park to Kennington Park Greenway schemes in the early part of 2016, as Phase 1 of the overall Greenway programme. Subject to funding and approval processes other schemes will be delivered in future years. The locations of the schemes in Phase 1 and the main measures proposed are summarised below. Where space permits and there are no issues with underground utilities, new cycle stands and street trees will be considered at all locations. New footway paving to improve the area around the park entrance. The kerb build out on Gordon Grove will require new double yellow lines to prevent vehicles parking beside it. Approximately one informal parking space will be taken out as a result of this. This minor reduction in parking provision is needed to ensure enough carriageway space is available for vehicles to pass each other safely near the new kerb build out. Kerb on south-west corner of the junction cut back to improve left turn. New footway and tactile paving to improve crossing facility for pedestrians.